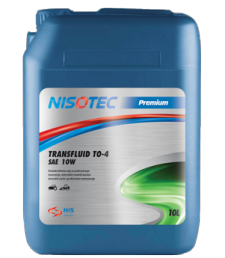 NISOTEC TRANSFLUID TO-4 SAE 10W, SAE 30, SAE 50 are premium grade transmission oils used to lubricate Caterpillar transmissions. This product group optimizes especially gear box, axels and transaxels performances. lt provides maximum protection of hydraulic system even at high pressures, It is recommended for use in heavy duty civil engineering equipment produced by Caterpillar, Komatsu and in transmission produced by Eaton, Eaton Fuller, ZF, Dana, Rockwell etc. It is suitable for use in in the equipment requirinf TO-4 or former TO-2 fluid.